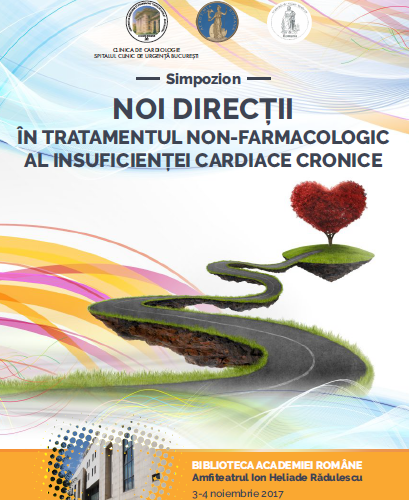 Cardiology Clinic of Bucharest Emergency Hospital, under the auspicies of Carol Davila University of Medicine and Pharmacy, Romanian Academy and Romanian Academy of Medical Sciences, organizes «New directions in the non-pharmacological treatment of chronic heart failure» simposium. Scientific programme is available here. Accredited by the Romanian College of Physicians.